2-into-1 Exhaust Pipes. Four pieces. Made from 304 Stainless Steel. 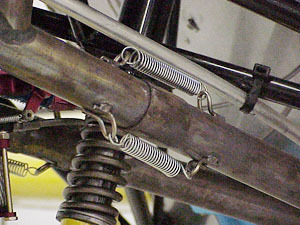 ACV-E01-02 AeroVee Exhaust (pictured) features long extension pipes made to exit from a small cowl opening at the bottom center of the Sonex, Waiex or Xenos firewall. 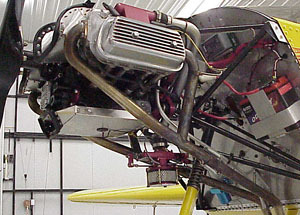 Customers installing the AeroVee on aircraft other than Sonex aircraft may make custom slip-on pipes to fit virtually any installation (see detailed images below), or trim/re-bend the provided extension pipes to suit. 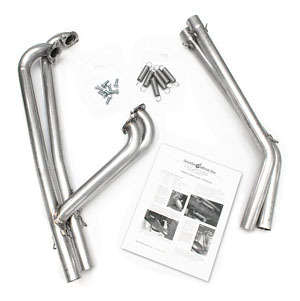 ACV-E01-03 AeroVee Exhaust features shorter extension pipes for installation on Onex single-place aircraft. Ships with intstallation hardware and instructions.